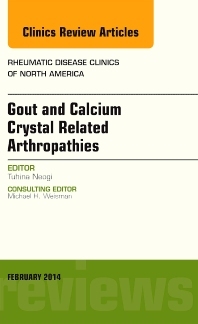 Gout is now the most common form of inflammatory arthritis in the United States, with a recent resurgence of research interest in its cause and management. Calcium crystal-related arthritis has also attracted renewed attention, with new nomenclature having been recently elaborated, aiding contemporary research efforts. This topic has never been covered in Rheumatic Disease Clinics and it represents a large content hole. The articles will cover diagnosis, management, emerging therapies and imaging.